When I lived in Dili, I once went to a conference in an airless room in a city centre hotel on community policing. The proceedings were deathly dull, with one worthy speech following another, each extolling the wonderful work being done building bridges between police and communities. But then, the commander of Dili enlivened proceedings tremendously with an impromptu intervention. He grabbed the microphone and went off on a spiky twenty-minute tirade about how community policing was a bit, well, weak-wristed. “Just give us the money and we will buy the guns”, he thundered. His dramatic monologue went down well with his fellow commanders. As they thumped the tables in approbation, donor representatives shifted awkwardly in their seats. It was a startling indication of how much work was still needed to develop a partnership of equals between police and the community. It should have given everyone a pause for thought and resulted in some clear analysis of the reasons for the gap in understanding. Was this most memorable occurrence at the workshop ever committed to paper? Not a bit of it. The press release following the event ballyhooed tales of progress, the desire to report ever-onward success to both funders and superiors trumping a more honest appraisal of proceedings. I think of this story within the context of discussions about how few PDF documents appear to get downloaded, never mind the words in them read and acted upon. According to the World Bank, nearly one-third of the PDF documents on the Bank’s website have never been accessed. Good on the World Bank for being so open about how so many efforts come to naught. Would the analytics of other organisations that strive for policy relevance be much better? I’m fascinated by the topic, having once engaged in the self-defeating exercise of writing a couple of articles about why few people read articles, and Jim Della-Giacoma has already chipped in a useful contribution over at the Lowy Interpreter. I think perhaps one of the reasons why reports tend to get such low readership is because they rarely chime with the messy world that we know it to be, a world of hard to predict events, different agendas, tangential occurrences and general happenstance. Life is complicated, messy, episodic, full of activities that are hard to reconcile, frequently filled with people of mixed abilities and mixed motivations making decisions not necessarily based on the most rational or evidence-based of reasons. In sanitising the world and smothering it with abstract language, the reports become impenetrable to all but a hardy few academics conditioned by years toiling in the cloisters. The evidence-based approach of the World Bank, and all other PDF producing organisations like them, is also grounded on the assumption that providing people with better information will result in better decisions. In reality, people mostly tend to make their decisions on the basis of cognitive shortcuts, some of which, notably the availability heuristic, positively encourage the use of a distinctive narrative over the accumulation of hard facts. People working in aid and development are among the most fantastic story tellers I know; over coffees and drinks, they use stories to describe, illuminate and to make real the context they’re working in and the challenges they face. Yet the conventions of bureaucracy (and most academic writing) result in most of the feelings and emotions getting bleached out, as if they’re unimportant. Take evaluations of development programs. With each draft, and each round of comments, the awkward, the ineffable and the ‘you really couldn’t make it up’ get leavened out, often making the final result profoundly enervating and unreadable. This is why Bob Carr’s memoir garners lots of readers whereas the average technocratic report does not. But there are those who are trying to do things differently. New approaches to evaluating impact tell stories of change or write up case studies that capture the stop-start nature of development, which involves people with names who have success and failures as they try to make a different world for the communities with which they work. The rhetoric around Australian aid is of changed approaches. Perhaps there is room for more narrative and story-telling about how development projects are being enacted, an ethnographic approach if you will. Ben Ramalingam at ODI is a good place to start. Done properly, this should not need to lead to a flight from grounded evidence in favour of rhetorical flourish. Or is it human nature that we’re forever doomed to write plodding reports that few read and which we know don’t capture the reality that it is many small steps from little things from which big things grow? Gordon Peake is a Research Fellow at the State, Society and Governance in Melanesia Program at ANU. His memoir, Beloved Land: Stories, Struggles and Secrets from Timor-Leste, was published last year by Scribe. School of Regulation and Global Governance (RegNet) at ANU. Narratives to bring back the human voice in particular. SenseMaker is one approach that places people’s experiences at the centre. We’ve worked with thousands of girls stories, for example, in Rwanda and Ethiopia, to bring what I call ‘voices in the room’ so those with the power to decide can no longer ignore girls’ lives. Other resources are available here and here. But like any approach, it is easy to say ‘let’s collect narratives’ and rather more difficult to embed this systematically in organisations. The Most Significant Change method has also gained much popularity in development circles to avoid the dehumanising of results and reports. 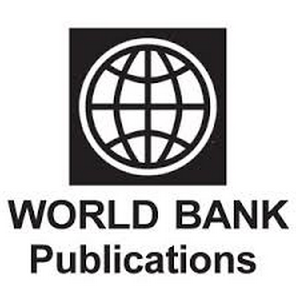 Interesting to read this and the associated comments by the World Bank about its own publications not being read. Can I suggest that it is an issue that is current across academia, about research impact ? It’s otherwise called knowledge translation and Professor John Lavis at Canada’s McMaster University has developed many useful methods of proceeding from knowledge translation to knowledge broking. The Chief Scientist of New Zealand (Professor Sir Peter Gluckman) has also been active on this theme of science into policy. There always seems a great deal of tension between a professionally-written document that advances the writer’s academic career and the ultimate impact on the intended readership, much less the demonstrable uptake in the associated policy. Sorry about that, I have fixed the link.